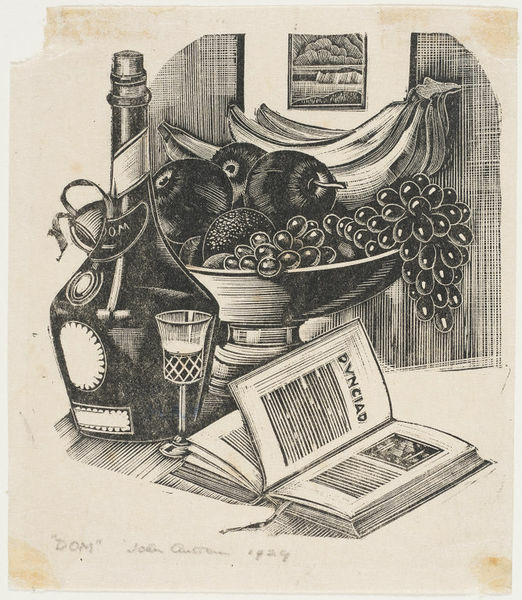 Wood engraving, signed and dated in pencil 'John Austen 1929'. 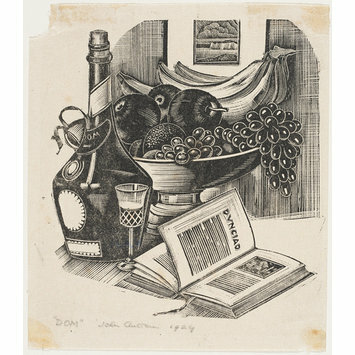 Still-life with a bottle of Benedictine, a glass, fruit and a book. Wood engraving by John Archibald Austen, R.B.A. (1886-1948), 1929. Victoria and Albert Museum Department of Prints and Drawings and Department of Paintings, Accessions 1951 London: HMSO, 1962.